This wine appeared in a sample pack I received a few months ago and I’ve only just got to it. Yes, I know it says 2009 and I bet you’re all groaning right now. But I have to tell you, I didn’t check the vintage before opening and tasting this wine and assumed from the outset it was current vintage, being 2010, until I looked at the label. It actually looked pretty fresh for it's age. Willow Bridge Estate are a sleeper out here in WA – we’ve all heard of them, but not many wine nerds probably get around to giving them a crack (this nerd included). They’re roughly 10 years old, and based in the Ferguson Valley (where?). They’ll hate me for saying this, but to set the scene for you, the Ferguson Valley is located approx 100km north of Margaret River in the hills immediately to the east of the regional city of Bunbury. It’s quite a little tourist hub now, can be very pretty, and is worth a visit on your WA trip. The winemaker is Simon Burnell, formerly of Cape Mentelle in Margaret River, so he knows his stuff. Fruit for this particular wine is sourced from the Pemberton wine region, located south-west of the Ferguson Valley. I love Pemby Savvy. Alright, I know, I’ve probably confused you all now. It doesn't really matter. Read on..
Colour is pale to golden straw. All pineapple and marshmallow, flinty minerality and nettles. Some herbals/florals – nice – and some attractive spice characters in the form of anise and vanilla. Lively pungency still, soft in the acid department, and finishing with sweetish banana passionfruit aromas. The first thing that I note on the palate is the creamy texture, which I’m guessing is aided by the partial natural fermentation. Flavours are in the greener tropicals – kiwifruit, rockmelon – and some citrussy lemon. On the fringes there’s herbal flavours of lemon myrtle, and lemongrass. Too much lemon you say? Oh, and a bit of lime and a touch of lovely wheatgrass. This does look pretty fresh for 2009 and is drinking well right now. Pemby is quite a bit cooler than Margaret River and therefore the wines exude a bit more lean, yet punchy, minerality, and a bit less of the tropical stuff. When they get the balance right, it’s very nice indeed. I enjoyed this and will probably seek out the 2011 version when it’s ready later this year. I think this wine forms part of the ‘Winemakers’ range, which, thankfully, has undergone a label change in recent times. Value: The current release is $25 – I’m assuming this wine was in line with that. Up there, but a decent drop. 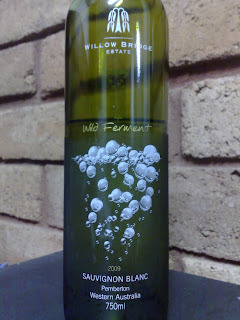 Producer: Willow Bridge Estate – www.willowbridge.com.au – Established in 1996 by the Dewar family. 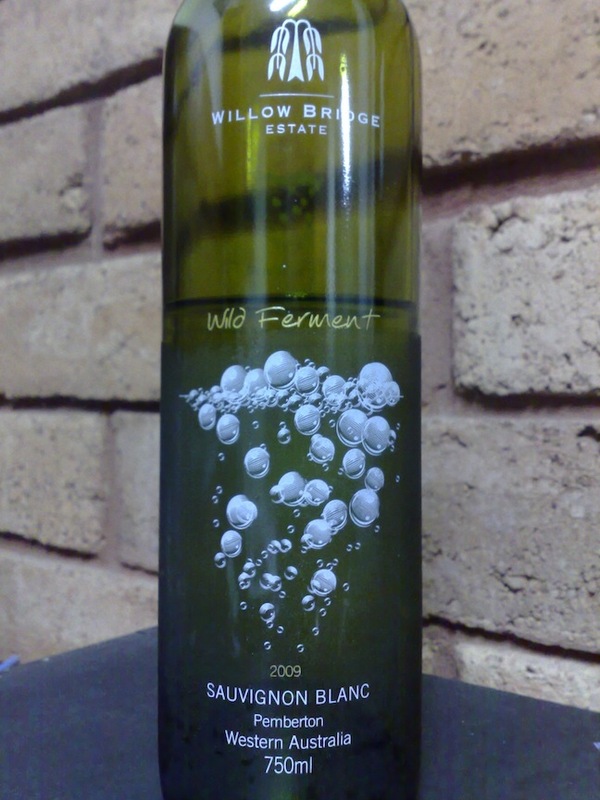 Region: Ferguson Valley, Western Australia, although this wine is from the Pemberton region, south-west of Ferguson. Site: Well-drained Marri soils, ironstone gravelly loam over clay. Vintage: A top vintage in Pemberton – good winter rains preceded a mild and warm growing season without weather extremes or disease. Tasted some Wild Bull cider from Ferguson Valley the other day. Was pretty good. I like Willow Bridge's SSB, so should def check this out. I have a couple of different Willow SSB's in the sample pack - will give them a go. I think I promised to do a Great Southern SSB tasting at some stage but might broaden it to a WA SSB tasting, excluding Margaret River.